Looking for some entertainment? Don't miss this week's lineup of action movies showing on the big screen in and around Los Angeles. Here are the top-ranked action films to catch in theaters, based on review aggregator Rotten Tomatoes' Tomatometer Score, which reflects the opinions of hundreds of film and television critics. With a Tomatometer Score of 88 percent and an Audience Score of 87 percent on Rotten Tomatoes, this 1999 release has much to recommend it. "A technologically stunning movie that furthers the genre and features crowd-pleasing performances to go with the frequent scenes of gunplay and violence," according to David Hunter of the Hollywood Reporter, while the Seattle Times' Keith Simanton said, "Extremely violent, extremely preposterous, extremely entertaining, 'The Matrix' succeeds at two extremely difficult tasks: as a vast, exciting virtual-reality movie and as a defibrillator for Keanu Reeves' big-screen career." Catch it on the big screen at Pacific Theatres at the Grove (189 The Grove Drive) on Sunday, March 31. Click here for showtimes and tickets. With a Tomatometer Score of 65 percent and an Audience Score of 77 percent on Rotten Tomatoes, "Aquaman" is well worth a watch. 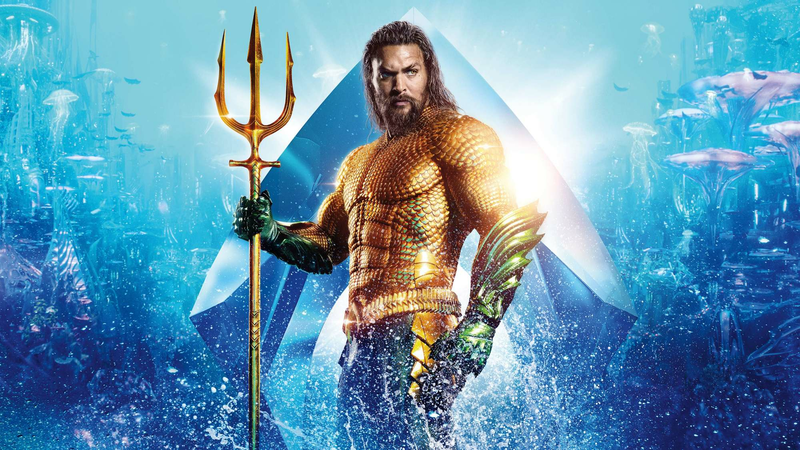 "Veteran cinematographer Don Burgess' widescreen images beguile, and Bill Brzeski's production design impresses mightily, but next time, someone please give (Jason) Momoa and company some memorable dialogue," noted Andrea Gronvall of the Chicago Reader, while the Toronto Sun's Mark Daniell said, "A thoroughly entertaining ride." In the mood for popcorn? It's playing at Regency Valley Plaza 6 (6355 Bellingham Ave.) through Thursday, April 4. Click here for showtimes and tickets. With a Tomatometer Score of 60 percent and an Audience Score of 94 percent on Rotten Tomatoes, "Alita: Battle Angel" is well worth a watch. Slate's Sam Adams said, "It's goofy as hell and borderline inexcusable at times, but it's also kind of glorious." It's playing at ArcLIght Pasadena (336 E. Colorado Blvd, Pasadena) through Wednesday, April 3. Click here for showtimes and tickets.